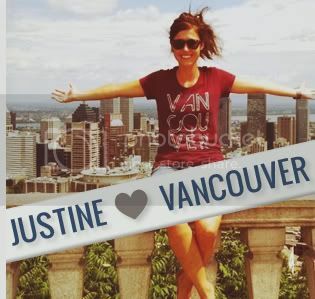 Win A Bird's-Eye View Of Vancouver With Harbour Air! Think Vancouver looks great from the ground? Imagine taking in our picturesque city and coast line from the air. We had a chance to experience Harbour Air's Vancouver Panorama Classic Tour and it is one of the best ways to see Vancouver. The 35 minute air tour includes overhead views of all of the city's landmarks and crosses over to the North Shore for an amazing look at the mountain range and coastal islands up close. The tour is a unique way to see our every day routes and favourite locations, and to appreciate our city and mountains in a whole new way. Or, if you're new to or just visiting the city, to see just how majestic this coastal city is. The Harbour Air crew was fantastic and made the trip extra special. Thanks to Captain John and the whole Harbour Air team for a great morning of playing tourist in our own town. Book your own Vancouver Harbour Air tour here, or, continue reading…..
2. Click on our Harbour Air contest photo and tag a buddy you'd want to fly with. 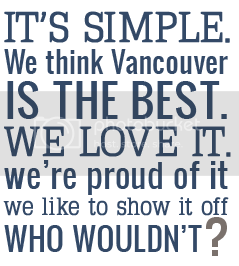 Our winner will be selected on August 27th and will be awarded two "Golden Tickets"* to experience Harbour Air's Vancouver Panorama Classic Tour for themselves. 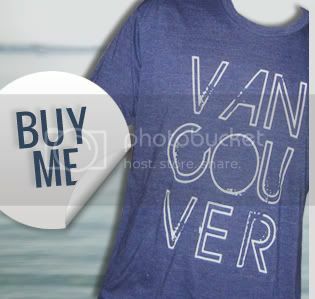 Don't forget to wear your Vancouver, We Love You shirt on the tour and send us some photos! *Flights are subject to the VHFC Terminal Fee of $9.50 plus tax per person, and are subject to availability. Vouchers expire August 11, 2015. Thanks again to Harbour Air for supporting Vancouver, We Love You. You guys are great!